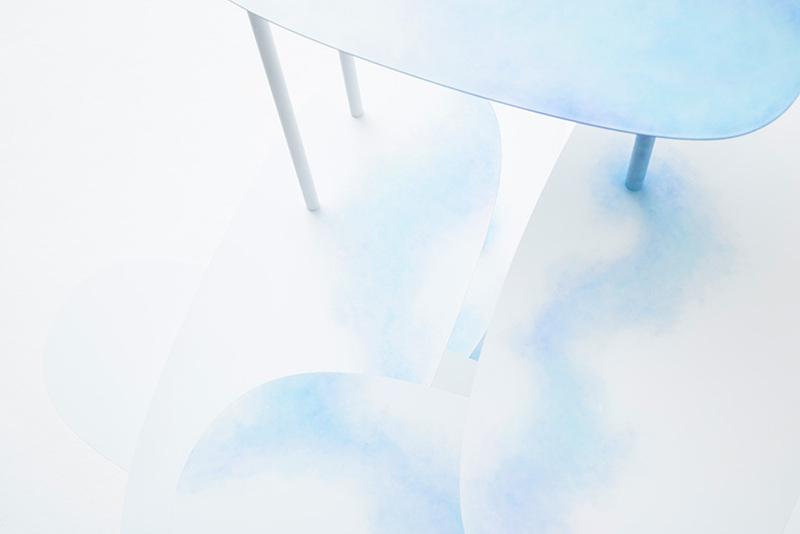 Nendo, a design and art studio founded by Oki Sato, released an 18 piece metal furniture collection inspired by the effects of watercolor paint on paper. The collection was presented at Design Miami / Basel 2018 expo. 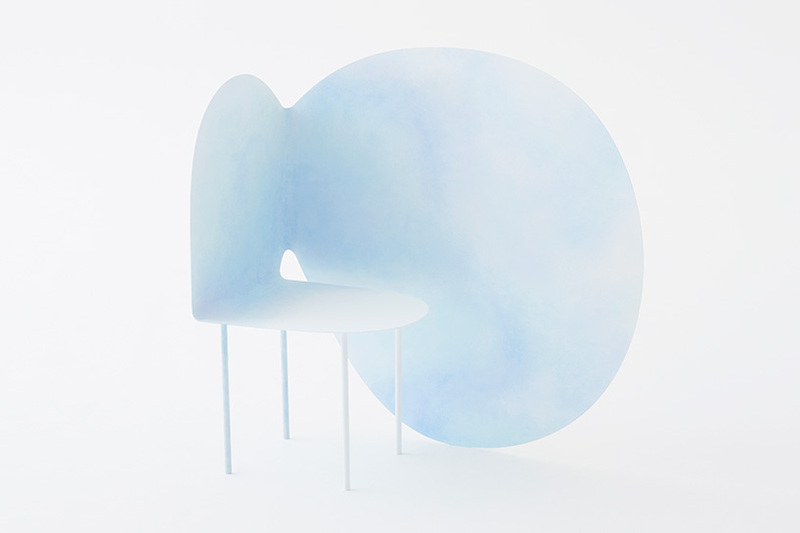 The furnishings look as though they were folded by hand with a soft blue color gently emerging through them like that of watercolor paint on paper. The unique technique forms blurred designs and patterns on their surfaces. The effect is created by the metal frames of the furniture repeatedly sanded and applied with primer followed by a matte white paint finish. The paint process is the most intricate. All of the painting is hand-painted, section by section. The paint is gently tapped with soft pulp paper. This coloring technique is done with a mix of 2 tones of water-based dye. The furniture was then given a coat of protective clear matte finish. The shapes of the furnishings are fluid and aqueous further accentuating the premise of watercolor design. 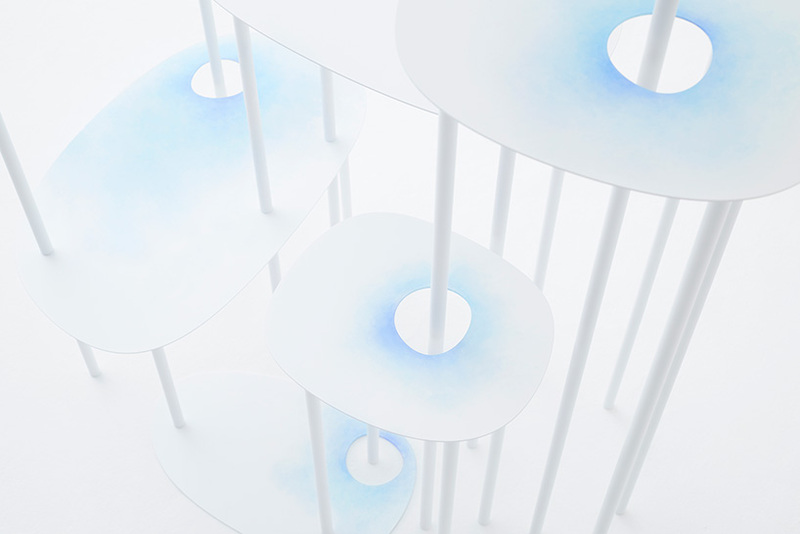 The blurred blue tones on the matte white finish drip down and create darker and lighter shades as they cross paths at various points and overlap at others. Custom patterns were created for each furnishing based on it’s shape and parts.